Orthodontic treatments (braces) are often considered to be something for adolescents, but in recent years, an increasing number of adults are seeking orthodontic care. 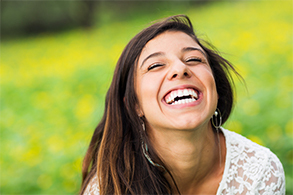 While some adult patients have the flexibility in their schedules to complete the more time consuming traditional bracket and wire braces process, straightening smiles with Invisalign clear braces may be a better option for many busy teens and adults. With just a few appointments over the course of about 12 months of treatment, Invisalign patients can have the straight, healthy smiles they deserve without the hassle of traditional bracket and wire braces. 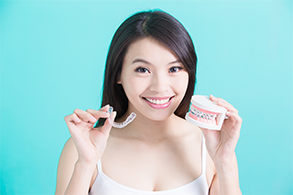 If you’re interested in finding out more about Invisalign orthodontics, contact VL Dental in Richmond to schedule your Invisalign clear braces consultation today. Our cosmetic dentist and team will carefully assess your orthodontic needs and help you determine whether or not Invisalign is your best option. Invisalign is a unique orthodontic treatment option that uses a series of clear alignment trays to gently shift teeth into their ideal position. Traditional braces achieve these results by using brackets attached to the front facing surfaces of teeth. Then, wires connect the brackets, and during frequent orthodontist appointments, we shift the wires to place pressure on specific teeth. Invisalign trays are each crafted to represent your smile one step closer to the desired end result, so as you wear the trays, they place pressure on teeth moving them into their ideal position. Then, patients simply exchange their current set of alignment trays for the next set in the series. The entire process is typically completed in a year or less. During your treatment, you will experience little to no change in your daily routine. Unlike traditional treatments that require you to change your diet and oral hygiene routines, Invisalign clear braces are removable. That means you can simply remove your aligners during meals and while brushing and flossing and return them after. Because the aligners are virtually undetectable to the untrained observer, you won’t have any worries about your appearance, and for patients who experience allergies or sensitivities to metal, plastic Invisalign trays will have no impact on oral and overall health. Invisalign treatment time will vary depending on your unique smile, but the majority of patients see their desired results in 8 to 18 months. The average treatment plan is completed in a year or less. This is a significantly shorter time period than is required for the majority of traditional braces treatment plans that can take 18 to 24 months or longer. 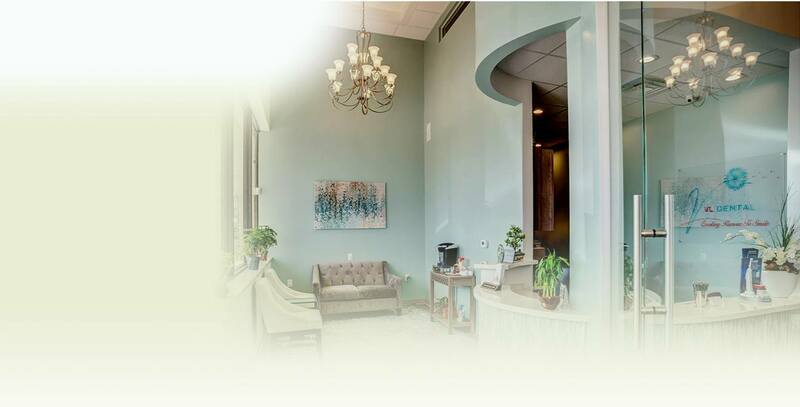 In addition to reduced overall treatment time, you will also spend less time in our office over the course of treatment than you would need to for traditional orthodontics treatment. 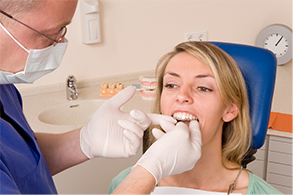 We will schedule short checkup appointments every six weeks to two months, so we can check the progress of your smile. You will still need to use a retainer after you complete orthodontic treatment using the Invisalign system. Like any orthodontic treatment option, your teeth have been moved to a new position, and while they may appear firmly set in this ideal alignment, below the gum line teeth are still not completely set. 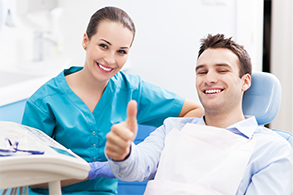 Over time, the supportive gum and bone tissue will reshape and fuse with teeth. This can take months or years. Retainers ensure your teeth stay in the proper positions as this supportive tissue is reformed.